The giant 41 Megapixels Zeiss Sensor on a Windows Phone 8 Smartphone is here !! Please give a warm greetings for Nokia Lumia 1020 !! Yup Start from tomorrow, Friday 29 November 2013, Nokia Lumia 1020 with 41 Megapixels Zeiss Sensor will be Available in Indonesia. 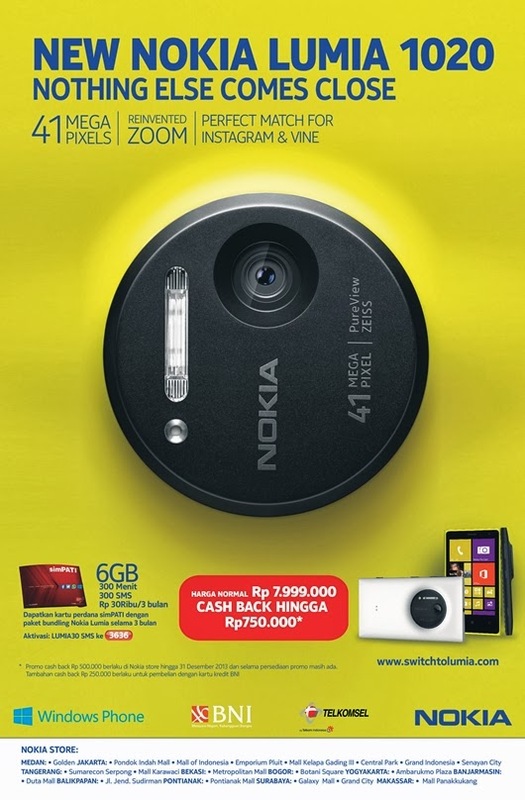 Nokia Lumia 1020 comes to Indonesia with Special Price, promo and discount. Normal Price is IDR 7.999.000. So let's check out some special promo for Nokia Lumia 1020 below.